Fleetwood PA is a small, close-knit community northeast of Reading. It has a small-town charm and includes several, well-kept neighborhoods with a variety of available housing options to fit every budget. Residential Fleetwood School District real estate includes single-family properties with considerable acreage. In fact, houses in Fleetwood seem to provide desirable living accommodations for nearly every lifestyle. Whether it’s single family or attached real estate that you’re looking for, the property and hometown features of suburban Fleetwood PA are sure to charm you. The wide variety of real estate in Fleetwood Borough combined with the relatively low costs of housing and the excellent school system are among the many attractive qualities that draw families to the area. A Fleetwood Borough or Maidencreek Township realtor will be able to help you find the perfect home to suit your needs. Fleetwood PA is home to the renowned Fleetwood School District, which operates a number of schools. The school system’s slogan is “Committed to Excellence” and it shows in the quality of the education found in area schools. These include Fleetwood Area High School and Fleetwood Area Middle School. The Fleetwood Area School District also operates Andrew Maier Elementary, Richmond Elementary, and Willow Creek Elementary. Due to the area’s above-average school system, families with children often choose houses in Fleetwood PA to raise and educate their children. The District serves the children of Fleetwood Borough, Maidencreek Township, Blandon, and Richmond Township. Homes in Blandon and Richmond Township are among the most desirable in all of Berks County. The school district serves the zip codes 19522 and 19510. 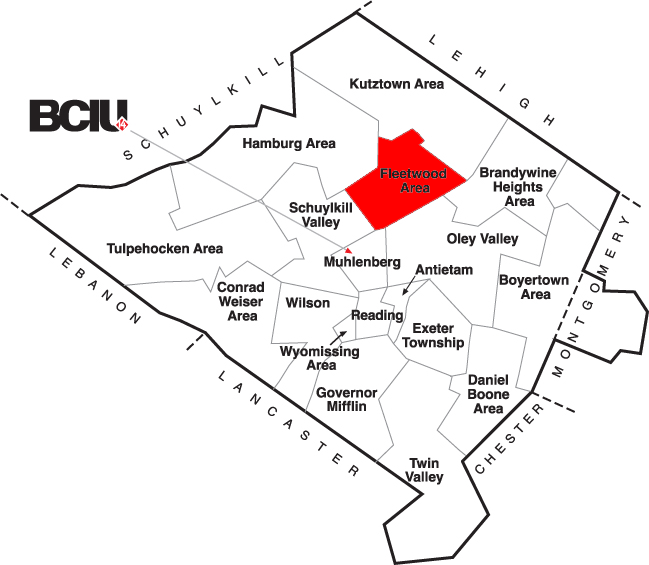 The Fleetwood Area School District covers over thirty-nine square miles in northeastern Berks County. Since its origins are in a beautiful Pennsylvania Dutch Country location, the borough of Fleetwood continues to grow and thrive, all while preserving its delightful small-town charm. That fact remains one of the main attractions when it comes to Fleetwood homes for sale and also explains why Fleetwood houses and their accompanying neighborhoods enjoy a high rate of occupancy. Find out more details about homes for sale in Fleetwood and neighborhoods in the borough here.